إن فندق The Cambridge Hotel بموقعه الممتاز في هذه المنطقة السياحية هو نقطة انطلاق جيدة لنزهاتك في هذه المدينة المذهلة. يجذب هذا العقار ذو 3 نجوم، والذي يبعد 1. Km فقط عن وسط المدينة و 8. Km عن المطار، الكثير من الزوار سنوياً. يوجد العديد من المعالم السياحية الأكثر جذبًا للسياح في هذه المنطقة. إن الخدمات التي يقدمها The Cambridge Hotel تضمن للنزلاء إقامة مريحة. هذه بعض الخدمات الموجودة في هذا الفندق: مدفأة, مكتب الاستقبال على مدار الساعة, تخزين الأمتعة, واي فاي في المناطق العامة, غرفة عائلية. في The Cambridge Hotel غرف نوم يزيد عددها عن 66 صممت بذوق وعناية لتوفر لك كل وسائل الراحة . بعضها يحتوي أيضاً على تلفزيون بشاشة مسطحة, سجاد, قهوة فورية مجانية, شاي مجاني, بياضات. كما أن مجموعة الخدمات الواسعة الموجودة في الفندق لضمان راحتك تترك لك الكثير من الخيارات لقضاء وقتك أثناء فترة إقامتك. يشكل The Cambridge Hotel بخدماته الراقية وموقعه الممتاز، قاعدة مثالية للاستمتاع بإقامتك في المدينة. يجب على النزلاء الذين يحجزون غرف ثلاثية ورباعية تقديم طلب لتقسيم الأسرّة قبل 24 ساعة على الأقل من الوصول، وذلك في حالة عدم وضع الطلب في قسم "الطلبات الخاصة" عند الحجز. يجوز للنزلاء اختيار سرير "كينج" واحد بطابقين أو سريرين منفصلين بطابقين. جميع معاملات البطاقة الإئتمانية ستتحمل 1.8% أجر إضافي. Good position with good bar. near museum and hill views. Good hostel. I like the bathroom and the pantry. Suggest to have ventilation for a room enable to have the stinky smell get evaporated and not get stuck inside the room. Also, if it's possible to have a curfew hours for those who would gonna drink inside the hotel and/or if those drunk guests can limit their voices and be considerate to those who are already sleeping. During my stay, it was until 4am that there were drank guests from other room/s running around and shouting. Best regards. When I arrived at the hotel, I saw that the shared dorm that I had booked was dark. I asked to change to a private room with beautiful view to the city. It was rainy, so I enjoyed watching movies and having a quiet place for myself. I had one free hour of internet, then I had to pay $4 for 2 more hours, and I did not like that. Also, when paying with credit card, there is a fee, like 1.8% approx. I don't think that is necessary or beneficial for the business or clients. The hotel is beautiful, although it could use some improvement. Perfect location and very friendly staff. Thank you! 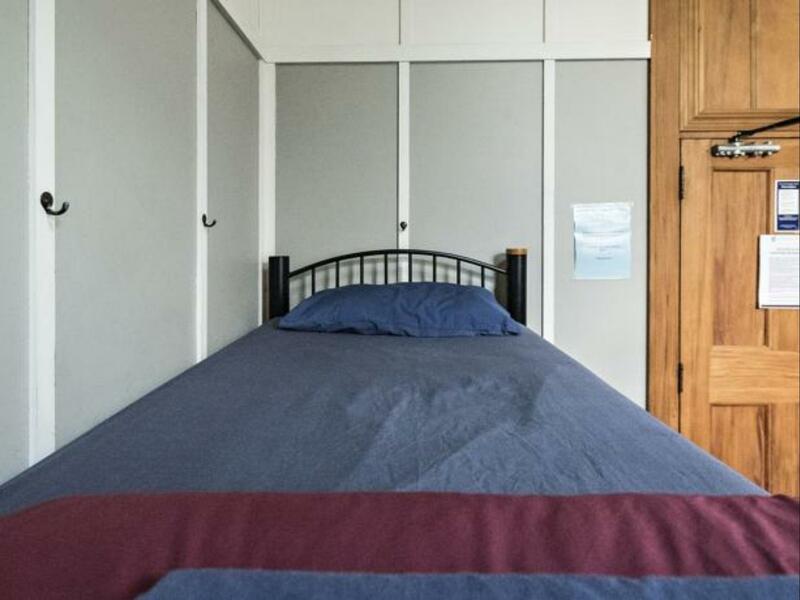 The single room is basic but has everything you need for a simple short stay. 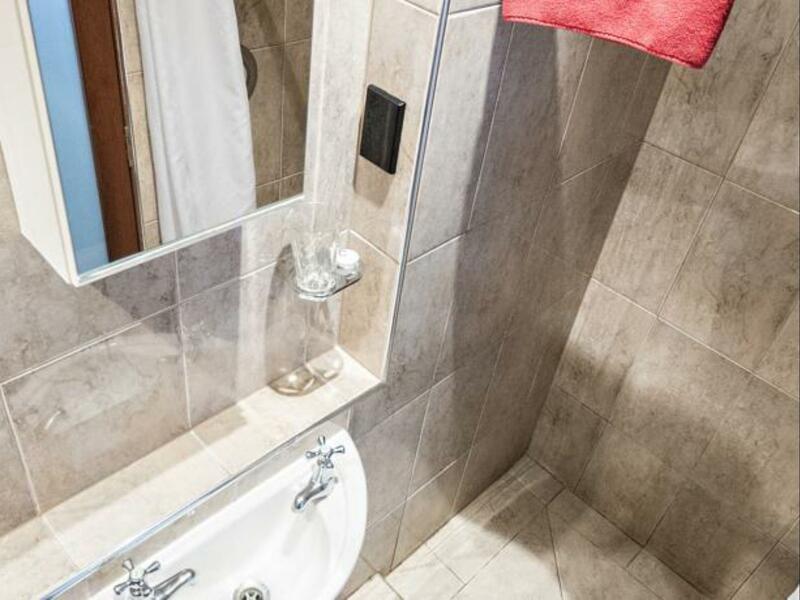 Probably the best basic room offering for budget range, room includes tv, tiny fridge and basin with hot water for washing face and brushing teeth which is great. 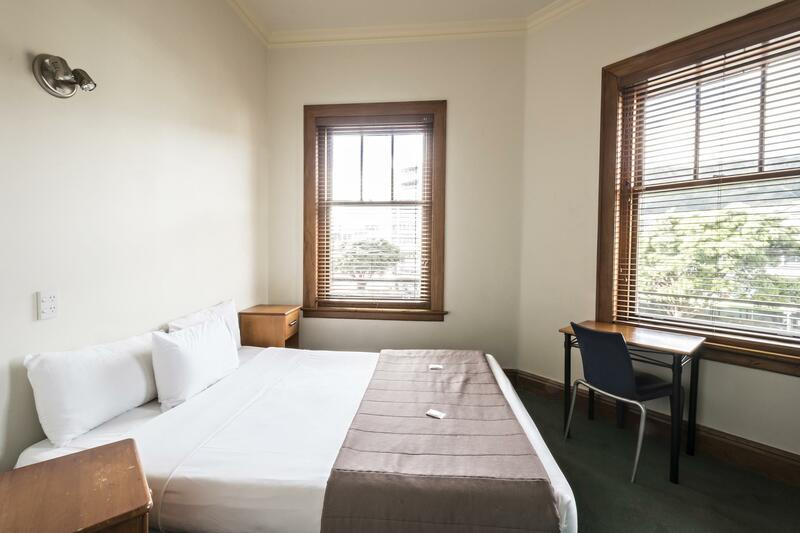 You won't get the setup for this price anywhere else in Wellington CBD, it's extremely central close to major bus stop. The shared bathroom on the second floor has a private bath which is lovely. The shared kitchen facilities also basic but great, can get a bit busy or crowded when the hostel is full but the option to dine in the restaurant with a 10% guest discount is a great alternative. BBQ on Wednesday for $7 including drink, count me in! Everytime I have stayed here it feels like I'm the only person in the hotel which I love. It's generally quiet and the rooms are just the right amount of private. The high ceilings give the best illusion of space and adds a kitsch feel. I love this hotel and would highly recommend staying here. Great hostel ! The rooms are nice with high celling. The bathroom are clean and big enough. However, the kitchen is really small and a commun area to chill is missing, there are only few couch in the kitchen and in the hall. Super clean, super nice and helpful staff, best location. I would add lockers to the rooms. This is a small and quiet hostel, that's why I love it. Wifi is free for only 1 hour every 24 hs. Superb facilities. Location is near to other food amenities. Street parking is free from 6pm til 8am. Lift/elevator is the older type which must be manually opened/closed and is not available 24 hours. I think it stops operating after 7pm then you need to hit the stairs. We really enjoyed staying in this hotel. The room was great and very comfortable. A little further from Lambton Quay, Courtney Place etc but not too far either. Rooms were clean and spacious and staff friendly. Recommended. The best thing about this place is its location, it's right in the heart of the city. All attractions are within the walking distance. 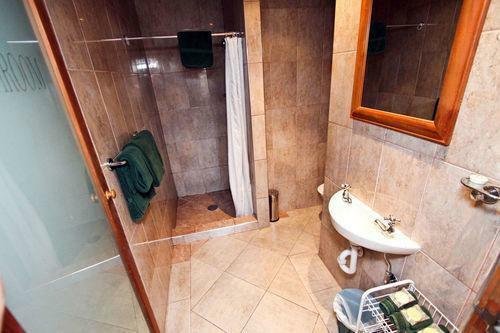 It's just about 10 minute walk to Cuba Street, 20 minutes to the waterfront, 10 minutes to mount Victoria. The staff were very friendly. The place were clean, the only thing I didn't like was the bathroom basis were way too tiny. The room was average, quite small and the bunk beds were quite low. I kept hitting my head to the upper bed even though I am a small person. But the room was clean and the bed was quite comfortable. I stayed in a single room which was alright. The bed was comfy, there was a tv, fridge and sink. The carpet didn't look that clean and I had a window that I couldn't close. Not only was that quite windy, it was also quite noisy. Location is very good. Not far from busses,restaurants,shops and te papa. Bathrooms looked clean, there was even a bath..(which seemed surprisingly nice but something I wouldn't use in a shared bathroom). Even though the walls were thin and you could hear everyones tv it was also very quiet. I didn't see other people and there wasn't really a common hostel area. I'm not sure what the dorms are like but it seems like a clean and quiet hostel in a good location. Location great Room good but a little old looking. Good bar on ground floor We did get some street noise from people sitting on the outside path and drinking at 2am but not the hotels fault. Staff very friendly and helpful with all. Great facilities in a fantastically central location but now quite tired and in need of refurbishment. I have been staying here ever since it opened as a purpose built backpacker facility and love it. However, being tired makes it look grubby. Showers turning off (including the light!) frequently due to the timer being so short was also frustrating. The double room was a good size with plenty of room and it was handy to have a fridge in the room. The location was great and a short walk from Courtenay place. The reception staff were friendly enough. Unfortunately there were quite a few negatives. Firstly, there was a horrible smell throughout the first floor that smelled like rotten vegetables. The smell remained throughout our three nights here. Secondly, the cleaning staff were sooo loud. They wouldn't even try to be quiet in the morning to avoid disturbing guests and I could clearly hear them chatting and banging doors. 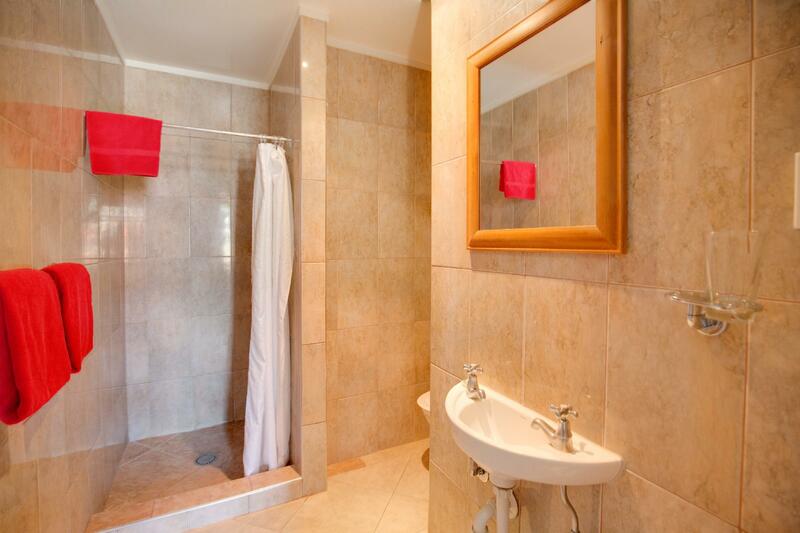 The shared bathrooms were ok but only had 2 toilets and 2 showers and one of the toilets had run out of toilet paper. The laundry wasn't too badly priced at $2 wash $3 dryer but there was only one of each (for a lot of guests). Overall, decent and very well located but they could definitely improve on a few things. The room for the 4 of us was clean & neat. The reception was extremely friendly & the location was walking distance to most places of interest. Great stay! We stayed Cambrige Hotel for 4days and it was twin room with shared bathroom from our room to bathroom was quite far but it was ok, But At night THE HALL WAS SUPER DARK. 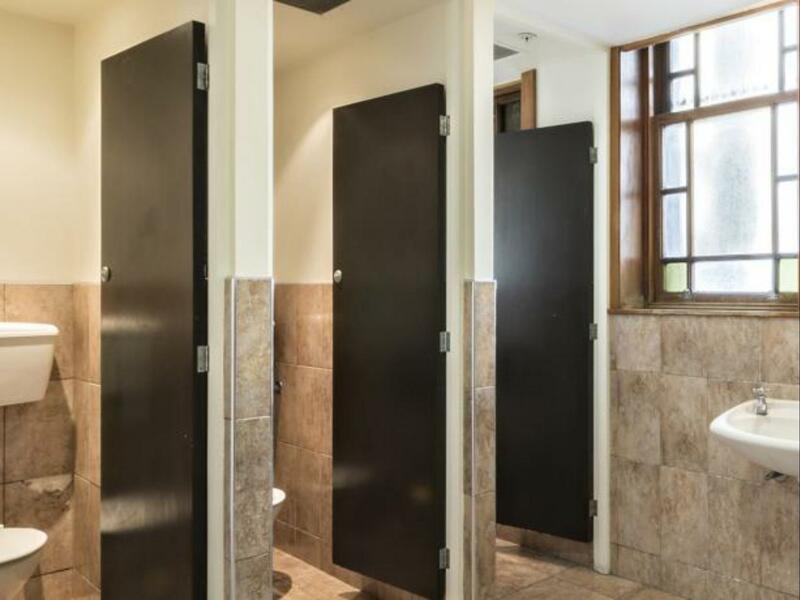 I couldn't see at all until I got bathroom door. So You'd better not choose shared bathroom Its super annoying AND THERES NO SOUNDPROOF. I could hear everypeople making a noise One more thing, I didn't know about their wifi system, It's only free for an hour every device every 24 hours If you want to use wifi after one hour free wifi It will be charged, And It doesnt refresh every new day(12am), the record lasts 24 hours so if you have important video call or internet thing you should calculate times and make sure its been passed since your last wifi access I might not go here again. 트윈룸+공용욕실 사용했음 밤에 화장실 한번 가려면 각오가 필요함 공용 복도 어두움. 전등 센서가 화장실 문 바로 앞에있음. 그리고 방음 진짜 안됨 옆방에서 깔깔거리는거 이야기하는거 다 들림 그리고 와이파이, 24시간동안 1시간 무료임. 이후엔 당연히 유료. 그것도 매일밤 12시에 갱신되는게 아니라 이용한지 24시간이 지나야 다시 접속가능함. 그것때문에 중요한 일 못할뻔함. 다시 갈 생각은 없음. 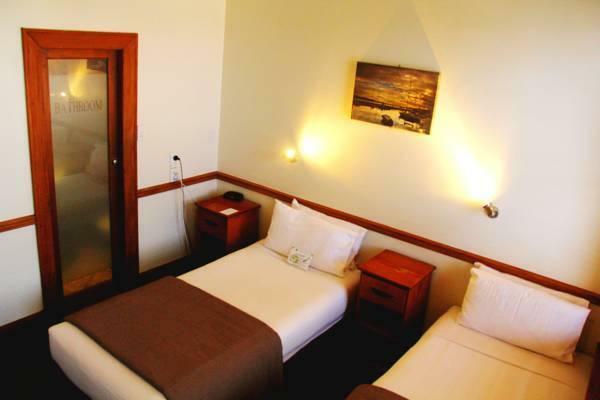 i thought the hotel was very good value for what we paid. . the location was very central to most attaractions only 10 mins casual walk to waterfront ,Te papa The bar was great and so was the food. The shower was awesome. very friendly and helpful staff; hotel is over a hundred years old ... pretty cool old English style ;) facilities are not the newest, but everything is available and working incl. washing machine and dryer; since the Cambridge hotel is about a 5min walk from the main pub&restaurant area away it's nicely quiet at night!